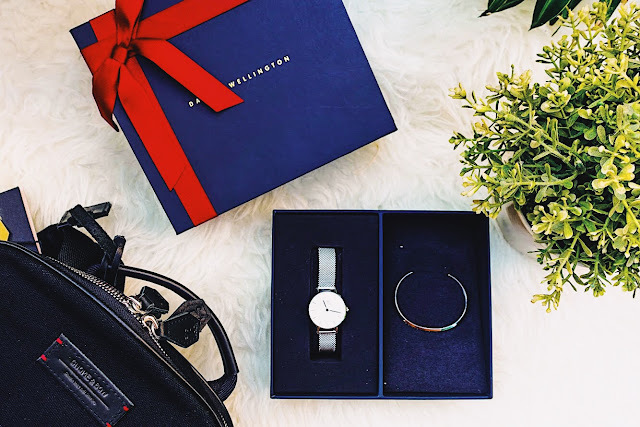 Daniel Wellington | Holiday Bundle Set! If you've yet to get your Christmas presents, Daniel Wellington is the place to go. With their bundle gift set that comes with a watch & bracelet/cuff , you know you won't go wrong with your gifts this season! Daniel Wellington is currently running a holiday campaign till the 31st Dec. Head to www.danielwellington.com/sg/ to create a unique gift set and enjoy 10% off when you order. Use code “15Angeline” to enjoy an additional 15% off with FREE shipping! All parcels will be sent with gift wrappings.